Belarusian authorities initiated a new wave of journalists’ detentions. Blogger detained in Hrodna for cooperation with Belsat TV. TBM called to list Belarusian as native language during the upcoming census. Expert communities released Belarusian Yearbook 2018. Project on monitoring of small rivers and lakes started in Polesse. Minsk held Alternative Energy Market environmental forum. Brest hosted Women’s Business Festival. Belarusian army recruits for IT squad. 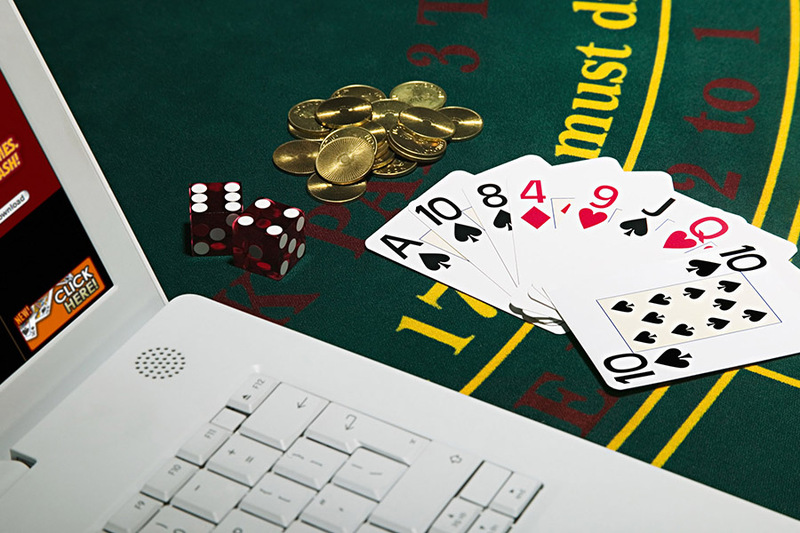 Belarus legalises online casinos. Media crackdown in Belarus. Last week, the police raided the newsrooms of several leading media outlets, including the Belarusian major independent media TUT.BY portal and BelaPAN news agency, and detained at least 18 journalists. An unprecedented wave of journalists’ detentions started on August 7 under a criminal investigation into alleged unauthorized access to paid services of the government-owned BelTA news agency. By 10th August, all the detained journalists were released. Bloggers and journalists under pressure. A criminal case has been opened against Brest blogger Siarhey Pyatrukhin on the charge of “an insult inflicted in a public statement”. Blogger from a Homiel region Andrey Pavuk was detained for cooperation with Belsat TV. In Hrodna, the police seized equipment from journalists working with Belsat. Belarus’ MFA is the most open state body of the country. The Ministry of Education is the most closed, according to a study by the Political Research Institute Political Sphere. 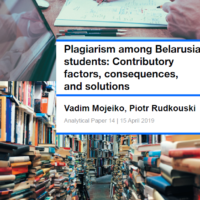 The findings are based on 21 in-depth interviews with Belarusians CSO representatives. TBM calls to list Belarusian as native language during the upcoming census. Head of the Belarusian Language Society (TBM) and MP Alena Anisim addressed to the Belarusians to recall that the next census would be held in 2019. She urged the citizens to claim the Belarusian language as native that contributes to strengthening the independence and national security of Belarus. Belarusian Yearbook 2018 released. The annual edition presents a comprehensive analysis of the key developments and current status of the main sectors of the state and society in 2017. The book is published under the aegis of the Agency for Social and Political Expert Appraisal and Nashe Mnenie (Our Opinion in English) expert community. International Congress of Belarusian Studies will not take place in 2018. The preparatory work has been conducted for the Congress to take place in Belarus since late 2017; however, the organizers met ‘technical and organizational obstacles’. Like all previous events, in 2019, the 8th Congress of Belarusian Studies will be held outside of Belarus. Project on monitoring of small rivers started in Polesse. The participants will monitor a condition of rivers, lakes, and wells and conduct 20 campaigns on water examination and coasts cleaning in border regions of Belarus and Ukraine. The project is co-funded by the EU and implemented by Pinsk executive committee and Interakcia Foundation from Belarusian side. Alternative Energy Market environmental forum was held on July 27, in Minsk. An event was dedicated to renewable energy sources in their most unexpected manifestations and organized by the cultural centre KORPUS and EcoDom CSO. The forum’s program includes a fair of eco-initiatives, a demonstration site, real stories of users of renewable energy sources, an environmental film festival, etc. Business Bicycle contest kicks off in Minsk. The goal is to find and encourage companies that prefer to use environmentally friendly transport, a bicycle. From August 1 to August 31, the contest organizers will monitor the activities of companies in social networks and award the best. The contest is organized by the Minsk Bicycle Society and the Center for Environmental Solutions and supported by EU. Sprava festival took place on August 4-5. International community engagement festival Sprava (Deal in English) is meant to celebrate Belarus’ historical and natural landmarks, modern art and music. The organizers are a group of enthusiasts who together with local residents turn a peninsula near Lake Chereiskoye into a new cultural venue. CSOs presented themselves at FSP festival. Freaky Summer Party (FSP) is one of the most popular festivals in Minsk that gather thousands of people. On July 28-29, a zone of public partners presented various civic initiatives: from a public campaign against homophobia to improvisational theatres. For example, at a Green Network spot, it was possible to sign and send a postcard about the climate change. Women’s Business Festival in Brest was held on August 4. Women who already had a business and would have liked to present it at the festival were invited to the participation. According to the organizer, Brest Regional Development Fund, one of the objectives of the event was the unity of values, thoughts, and ideas of the women’s business community. Belarus is the best friend of Ukraine. 74% of Ukrainians treat Belarusians positively – this is the best indicator among all countries in the world. Earlier, Russians similarly spoke about Belarus. Cyberwarfare IT squad to appear in Belarusian army. Up to 60 people are to be recruited for the information technology company of the Belarusian army. The IT trend in Belarus is to be taken to another level. Belarus Security Blog welcomes the establishment of IT squad as a positive, albeit belated. Belarus climbs to 38th position in E-Government Development Index (EDGI). The country has moved 11 positions up to make it to the top 40 countries in the Very-High-EGDI level group for the first time. The UN E-Government Survey is compiled for 193 countries every two years. Belarus increases the term of visa-free stay of foreign citizens to 30 days. Foreign Minister Uladzimir Makei meets Latvian Foreign Minister Edgars Rinkēvičs to discuss the expected visit of Alexander Lukashenka to Latvia. Belarus boosts economic cooperation with China and continues petty trade disputes with Russia. Meanwhile, the Russian ambassador to Belarus praises economic cooperation between Belarus and Russia. He also blames Russian counterparties of assisting re-export of sanctioned goods from the European Union to Russia through the Belarusian border. Alexander Lukashenka demands reforms at the Academy of Management under the President of the Republic of Belarus. Vitebsk hosts an annual Slavianski Bazaar festival. Latvian Foreign Ministry prepares for the visit of Alexander Lukashenka, reports Belarus Segodnya newspaper. On July 19-20, Foreign Minister Uladzimir Makei met his Latvian counterpart Edgars Rinkēvičs in Riga and conducted talks on inter-state visits and economic cooperation between Belarus and Latvia. According to Makei, joint projects in IT might become “ground-breaking” for Belarussian-Latvian collaboration. Belarus increases visa-free stay of foreign citizens from 5 to 30 days provided they enter and leave via the National Airport Minsk, reports Belarus Segodnya. Alexander Lukashenka signed the corresponding decree on July 24. For visa-free entry to Belarus, foreign citizens have to provide a valid passport, financial means (at least $25 for each day of stay), and a medical travel insurance with a minimum medical coverage of €10,000. The visa-free entry rules do not extend to any other international border checkpoints or airports of the country. Alexander Lukashenka denies false rumours about his stroke. 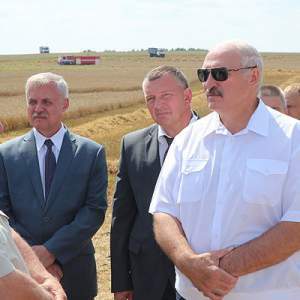 On 1 August, Alexander Lukashenka observed the grain harvesting campaign in Minsk district and talked to field workers and journalists, thus demonstrating being in good health, according to the report of the official Internet Portal of the President of Belarus. Alexander Lukashenka praises economic cooperation between Belarus and China during the meeting with Chang Zhenming, the Chairman of Board of Directors of Chinese CITIC Group, reports Belarus Segodnya. According to Lukashenka, Belarus should establish a similar state company functioning in accordance with the CITIC’s principles. CITIC Group Corporation Ltd. remains a state-owned investment company of the People’s Republic of China since 1979. CITIC’s major aims include attraction and utilization of foreign capital, an introduction of advanced technologies, and adoption of the advanced international practice in operation and management. CITIC Group has already implemented several projects in Belarus, including the creation of the first Belarusian automobile plant. Recently CITIC Group has invested into the creation of a high-tech agro-industrial production in Belarus. On 31 July, the Chinese contractor handed over the symbolic key from the Vitebsk hydropower station to Belarusian engineers, reports Belarus Segodnya. The construction of the Vitebsk hydroelectric power station, the most powerful in the country, began in 2012 after the agreement between China’s National Electric Engineering Company and Vitebskenergo. 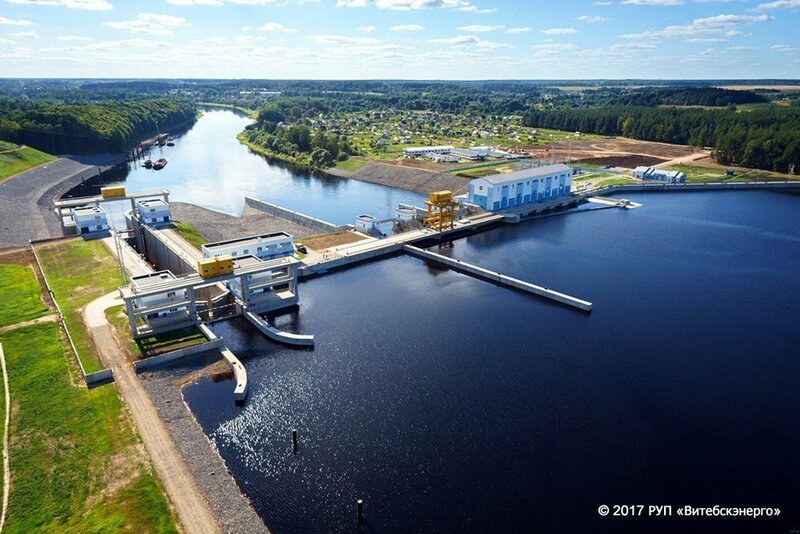 The Vitebsk hydropower station started its operation in 2017. According to Mikhail Luzin, the General Director of Vitebskenergo, the new hydropower station will help to ensure Belarusian energy security. Meanwhile, Belarus and Russia continue petty trade disputes. 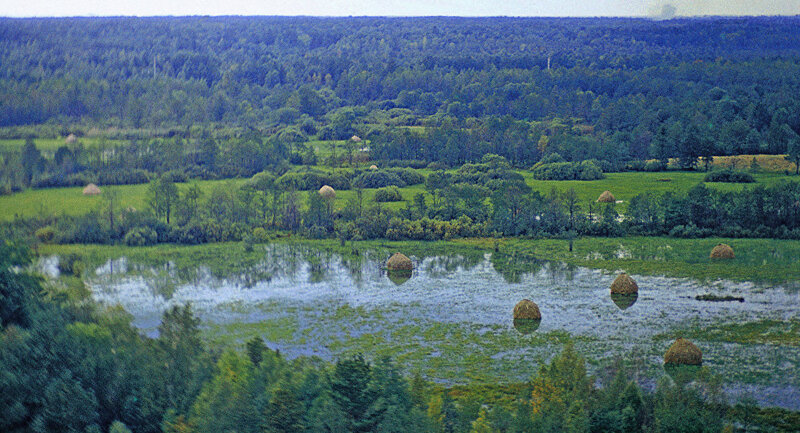 On 24 July, the Russian regulator Rosselkhoznadzor banned the import of Belarusian champignons, reported Soyuz newspaper. The Russian regulator uncovered the cheating scheme of marking Polish-grown champignons as Belarusian ones during the inspection. Belarus, on the other hand, restricted the import of pork from several Russian regions due to the African swine fever. The Russian Ambassador in Belarus acknowledges trade disputes, yet calls for further economic integration. In an interview to Soyuznoe Veche newspaper, Alexander Surikov blamed Russian counterparties of assisting re-export of sanctioned goods from the European Union through the Belarusian border. At the same time, Surikov maintained that the Belarusian side illegally provided them with fake supporting documents. Still, Belarus remains Russia’s fourth major trade partner. Hence, according to the Ambassador, the countries should “engage in deeper economic integration” and “push their joint enterprises into Eurasian and world markets”. Alexander Lukashenka demands reforms of Belarusian higher education. In particular, Lukashenka expressed dissatisfaction with the quality of graduates of the Academy of Management under the President of Belarus, reports Belarus Segodnya. According to Lukashenka, no “unsuitable people for a career in management” should enter the Academy after the 1st of September this year. The Academy’s rector Gennady Palchik reported on the conducted optimization of curriculum and the number of students. 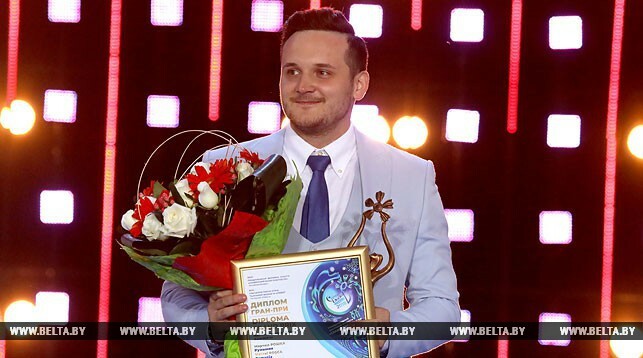 The XXVII International Festival of Arts “Slavianski Bazaar in Vitebsk” announced winners of the annual pop contest, reports Vitebsky Kurier newspaper. The Grand Prix won a tenor from Romania Marcel Rosca. Amre (Ernar Sadirbaev), Kazakhstan’s contestant, received the first prize, despite obtaining a similar score with the winner. Mila Nikitic, Ukraine’s contestant, took the second prize. Hrodna’s women launch “Femininity flashmob”, reports Evening Hrodna newspaper. On 1 August, a group of well-dressed female participants gathered in the city centre and spread out flowers to passing by women. The flashmob intended to raise awareness about gender issues in Belarus and encourage women to share the burden of domestic work with men more actively.